The rosary can be an aid to worship. Although it is traditionally a Catholic devotion, Lutherans are encouraged to pray the Rosary as well. 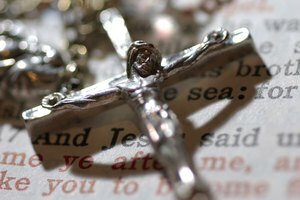 The Lutheran Rosary as it is known today was developed in 2005 by John Longworth, a seminarian at Lutheran Theological Seminary at Philadelphia, along with his wife Sara. The Lutheran Rosary is prayed much like the Catholic Rosary, except each “Hail Mary” is replaced with the “Jesus Prayer.” Those who are new to Lutheranism or even Christianity may not yet know how to pray the Rosary, but it is fortunately quite straight-forward to learn. Touch the Crucifix on the Rosary (kissing it is also an option), say the Invocation, and make the sign of the Cross. The English Invocation is, “In the name of the Father, the Son, and the Holy Spirit. Amen.” As you make the Invocation, say "Father" as you touch your head, touch your breastbone as you say "Son," say "Holy" as you touch your left shoulder, and lastly touch your right shoulder as you say "Spirit." After speaking the Invocation and the sign of the Cross, pray the Apostles' Creed. Hold the first bead on the Rosary and say the “Lord’s Prayer,” also known as the “Our Father.” You will say the “Lord’s Prayer” on each of the large beads as you go around the Rosary. Some Lutherans pray “Glory Be to The Father” on the other large beads. The variation that is used varies from one Lutheran church to another. 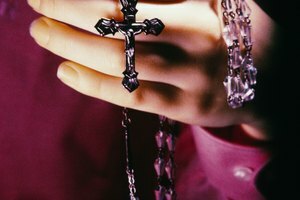 Speak to your church leaders if you need clarification on the proper way to pray the Rosary in your church. 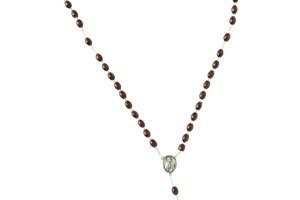 Say the “Jesus Prayer” on each of the next three smaller beads. This is where the Lutheran Rosary differs from the Catholic Rosary. 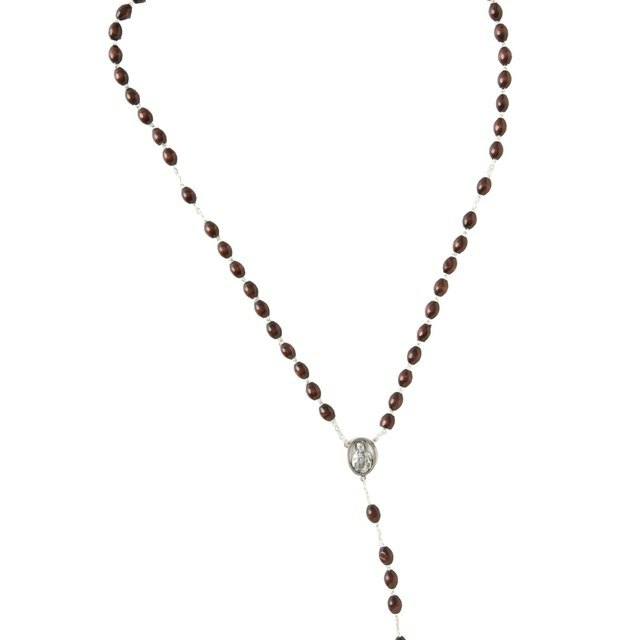 Catholics pray the “Hail Mary” on the smaller beads, while the Lutheran Rosary calls for that particular prayer to be prayed only once. 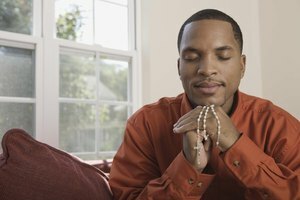 Hold the chain between the beads and pray the “Doxology.” This is done before you reach the next large bead and speaks the next “Lord’s Prayer.” This step is often overlooked or forgotten by many who pray the Rosary. Nevertheless, this is still a part of praying the Lutheran Rosary. Pray “The Lord’s Prayer” once again when you reach the next large bead and reflect on the first mystery. 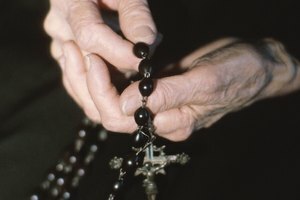 There are 15 traditional mysteries of the Rosary that were standardized in the 16th Century by Pope St. Pius V, and you will contemplate all of them as you pray the Rosary. Additionally, you may announce the mystery out loud before praying on the rest of the beads. Stetson, Chad. "How to Pray the Lutheran Rosary." Synonym, https://classroom.synonym.com/how-to-pray-the-lutheran-rosary-12083993.html. 29 September 2017.